Alabama defines “right-of-way” as the right to move across or onto a roadway before other vehicles or people. Right-of-way laws are in place to facilitate smooth, safe traffic flow, and violating them is one of the most common causes of collisions in the state of Alabama. The laws are there for your protection, so it is simply good common sense to obey them. If you do not, you are running the risk of damage to your vehicle, and injury or even death to yourself or someone else. When more than one vehicle approaches an intersection at about the same time, and there are no signals or signs, right of way belongs to the vehicle on the right. If you are speeding when you enter that intersection, you are no longer deemed to have had the right of way. You must always yield the right of way to emergency vehicles (police cars, fire trucks, ambulances, etc.) when their sirens are on and their lights are flashing. If you are not in an intersection, you must pull over. If you are already in the intersection, proceed out of it and then pull over. Cars that are entering from a driveway or private road must yield to vehicles on public highways or streets. If you are facing a yield sign when entering an intersection, you must give the right of way to any vehicle or pedestrian that is crossing the road. When you turn left into an intersection, driveway, private road or alley, any vehicle approaching from the opposite direction has the right of way if it is in the intersection, or near enough to cause danger if you do not yield. When entering an intersection on a green arrow signal, you must yield to traffic that is already in the intersection. Regardless of traffic signals, you must always stop and yield the right of way to a blind person who is carrying a red-tipped white cane and holding it extended, or who is walking with the assistance of a guide dog. The most common misconception about right-of-way laws in Alabama is that if a pedestrian is crossing against the light, he or she does not have the right of way. The law on this is very clear in Alabama – you must always yield right of way to pedestrians, even if they are jaywalking. 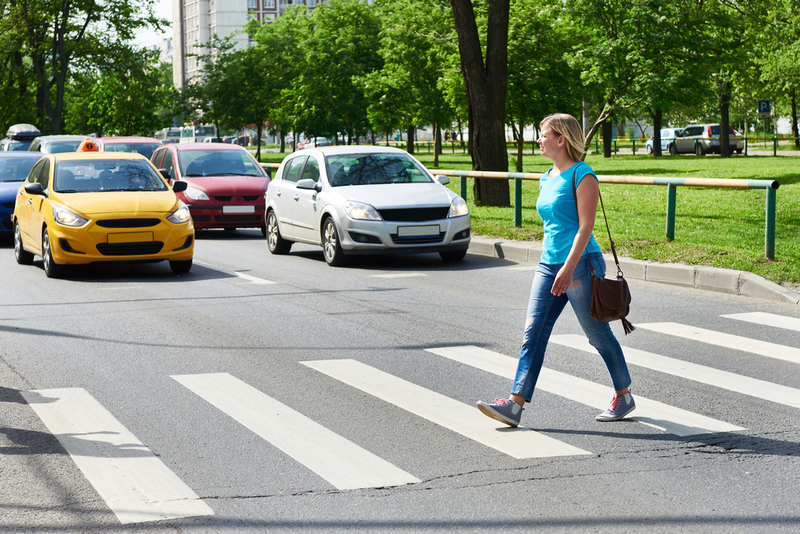 This is based in common sense – the pedestrian is far more vulnerable than the motor vehicle operator, and therefore always has the right of way. You will automatically have five points added to your license. Fines for failure to yield are $20 for the first offense, $195 for the second, and $215 for the third. If you fail to yield to an emergency vehicle, the fines are $50 for the first offense, $195 for the second, and $245 for the third. For further information, refer to the Alabama Driver License Manual, Chapter 6, pages 60-64.